RTDNA Reports on Social Media and Mobile Strategies for Radio News Operations. The third edition of a series of reports from Hofstra University professor emeritus Bob Papper – whose data comes from the annual survey of radio and television news directors – investigates newsrooms’ use of social media and mobile applications. Among the questions answered by the approximately 150 news directors who responded to the survey include: What’s the most important new thing you started doing with social media in 2014? Almost 49% of radio news directors reported doing something new in social media in 2014. In underscoring the importance of developing mobile apps for news consumers, Papper points out that 55% of news directors mentioned apps compared to the next most popular answer – streaming, at 11%. The RTDNA will be releasing new reports every two weeks through July. 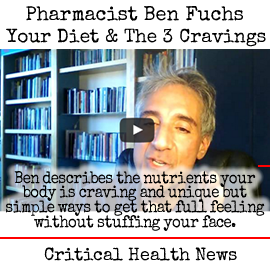 See the whole report here. Nielsen Audio Releases First Round of April 2015 PPM Data. The first of four rounds of April 2015 PPM ratings data from Nielsen Audio has been released for 12 markets including: New York, Los Angeles, Chicago, San Francisco, Dallas, Houston, Philadelphia, Atlanta, Nassau-Suffolk (Long Island), Riverside, San Jose, and Middlesex-Somerset-Union (New Jersey). The April 2015 survey period covered March 26 through April 22. You can find the complete ratings from subscribing stations here. 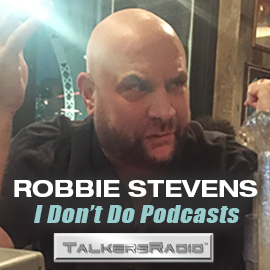 Additionally, TALKERS/RadioInfo managing editor Mike Kinosian provides his “Ten Takeaways” from this group on the main page of our sister publication here. 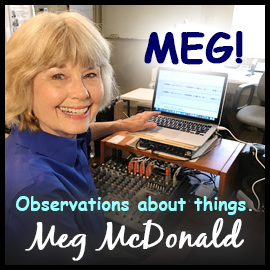 Michael Harrison Engages in Stimulating Conversations with Rebecca Costa and Buzz Aldrin on New Podcast. TALKERS magazine publisher Michael Harrison presents a “double header” on this week’s installment of the international hit podcast “Up Close and Far Out” as he interviews two provocative thinkers on the connection between human evolution and the species’ chances of survival. 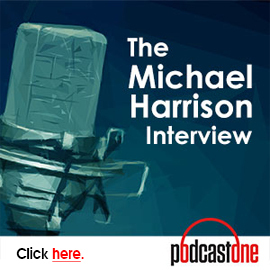 The podcast opens with Harrison in conversation with a personality he describes as “one of the most intelligent voices in talk radio today,” sociobiologist Rebecca Costa. Costa, a renowned author, speaker and consultant, hosts radio’s weekly “Costa Report” – a national weekend talk show syndicated by GCN, in which she interviews thought leaders with an eye on the future from a wide spectrum of fields and disciplines. Costa, author of the worldwide best-seller, The Watchman’s Rattle (Vanguard, 2010), says the human brain needs to evolve if it has a chance of coping with the increasingly complex nature of society and its technological/information-generating systems. She calls for humanity rising above the traits it shares with lower animals (“the lower instruments of our genetic inheritance”) to be able to enter an age of cooperation and enlightenment, vital to its survival, by tapping into the evolutionary advantages offered by the brain’s frontal cortex. In part-two of the podcast, Harrison engages legendary astronaut Buzz Aldrin in a discussion about the Apollo moonwalker’s new book, Mission to Mars (National Geographic, 2015) in which he encourages humanity to begin planning its future as being more than a “one-planet species” – an evolutionary step he believes necessary for humanity’s long-term survival. 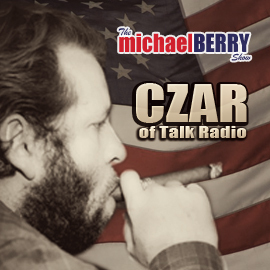 To listen to Rebecca Costa and Buzz Aldrin on “Up Close and Far Out with Michael Harrison,” please click here or click on the special player box in the right hand column of every page of Talkers.com. Archived interviews currently available for download at www.upcloseandfarout.com in the “Up Close and Far Out” series include Sean Hannity, Mike Francesa, Dr. Joy Browne, Linda Ronstadt, Joe Sciacca, Christopher Ruddy, Norm Pattiz, Alan Colmes, and Steve Weisman. Salem Media Group to Unveil ‘AM 1250 The Answer’ in Pittsburgh. The station acquired from Disney – WDDZ, Pittsburgh – becomes the latest Salem-owned AM news/talk to assume the brand “The Answer.” In addition to airing the Salem Radio Network lineup of talk hosts, local news/talk personality Rose Tennent – formerly with partner Jim Quinn on crosstown WPGB-FM – is signed on for a local morning show that will air from 8:00 am to 10:00 am. 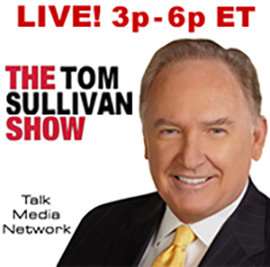 The rest of the schedule is: Bill Bennett, 6:00 am to 8:00 am; Mike Gallagher, 10:00 am to 12:00 noon; Dennis Prager, 12:00 noon to 3:00 pm; Michael Medved, 3:00 pm to 6:00 pm; Westwood One’s Mark Levin, 6:00 pm to 9:00 pm; and Hugh Hewitt, 9:00 pm to 12:00 midnight. Salem general manager Tom Lemmon comments, “Pittsburgh deserves a news/talk station that reflects the conservative, hard-working heart and soul of its people. 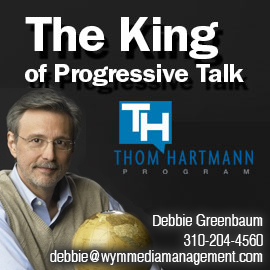 We’re thrilled to have an opportunity to provide an intelligent, sensible, conservative voice to the market. 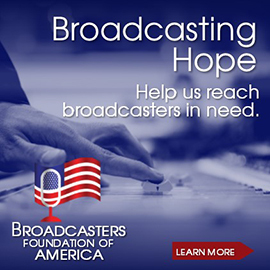 We want to be a station that tackles solid local and national issues with an intelligent opinion committed to truth and integrity. WYD Media and Focus 360 Announce Partnership. Saying that this agreement “significantly extends the reach of Focus 360‘s sales efforts and its ability to provide top-shelf service to agencies,” Focus 360 and WYD Media Ad Sales announce a new partnership. The deal provides for WYD to provide enhanced ad sales representation for Focus 360. Focus 360 CEO Phil Brown explains, “This is a tremendous opportunity for us to extend our sales efforts. WYD’s resources and sales talent will enable us to increase our presence at key agencies, thereby boosting revenue and enabling us to do an even better job at servicing our partners.” Brown says Focus 360 will continue to work directly with certain agencies where the company has long-standing relationships. Focus 360 also will continue to build its Jelli programmatic advertising platform. Odds & Sods. There’s a new all-comedy station as Austin Radio Network flips its Gospel-formatted KLGO, Austin and re-brands it “Comedy 1260 AM.”…..The Georgia Association of Broadcasters kicked off its second annual Radio Talent Institute at Grady College of Journalism and Mass Communication, University of Georgia, as the opening Institute this summer from the National Radio Talent System. 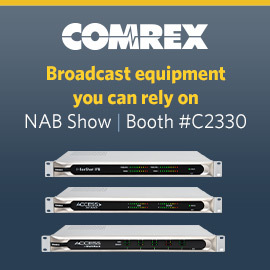 The GAB sponsors the Institute, now in its second year, with further support from Cox Media Group. Twenty-five students from Georgia schools with a “desire and passion for broadcasting” were accepted into the program. Opening day speakers included Cumulus Media CEO Lew Dickey, Cox Media VP Scott Smith, and Cox EVP Kim Guthrie, to name a few. 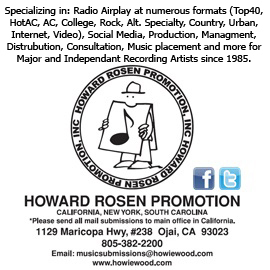 Numerous other radio pros are speaking and teaching courses. 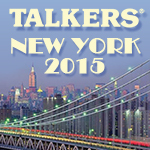 Talkers New York 2015 Nearing Maximum Capacity. 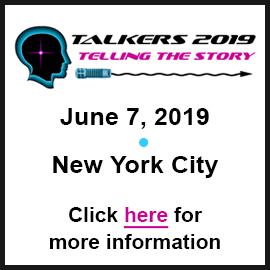 Based on the diminishing number of registrations still open and the rate at which they are being filled, Talkers New York 2015 – the 18th annual installment of the talk media’s longest-running and most important national convention — will be sold out sometime this week. According to TALKERS VP/executive editor Kevin Casey, “We are gratified by the strong response this event is receiving and we clearly do not like to turn folks away – however, we must abide by New York City’s building codes, not to mention be sensitive to the comfort and safety of our attendees.” Casey continues, “There will be no registrations sold after 5:00 pm EDT this Friday May 15, IF NOT SOONER. Friday at 5:00 pm Eastern will be the absolute cut off point… but we cannot guarantee that we won’t run out of room earlier.” The event will be located at the historic India House Club dramatically situated at One Hanover Square in the heart of Manhattan’s financial district. It is an all-day event – 8:45 am to 6:15 pm. Registrations, priced at $299 per person and only open to professionals currently or recently employed in media-related industries, include all sessions, presentations, exhibits and breakfast/lunch/refreshment/and social networking activities. The heavyweight, non-stop agenda will include approximately 65 speakers and 500 attendees will be the allowed limit. Registrations can only be taken over the phone and paid for by credit card. They are not refundable or transferable. For registration, sponsorship and hotel information, please call 413-565-5413. To see the latest agenda, please click here. Michelle Obama ‘Racism’ Commencement, 2016 Presidential Prospects, Baltimore Freddie Gray Death Aftermath, Obama Trade Bill Issue, Arctic Drilling Approved, NATO Expels Alleged Russian Spies, Clinton Email Suit Reopened, and Deflategate Sanctions Announced Among Top News/Talk Stories Yesterday (5/11). Criticism of First Lady Michelle Obama’s “racism” commencement address at Tuskegee University; the potential candidates for president in 2016; the legal and political aftermath of the death of Freddie Gray in Baltimore; the controversial trade bill being pushed by President Obama; the approval by the Obama Administration to allow oil drilling in the Arctic; the expelling from Brussels of alleged Russian spies by NATO; the lawsuit seeking to force Hillary Clinton to turn over private emails is reopened by a judge; and the NFL issues a fine for the Patriots and four-game suspension for Tom Brady in the “deflategate” case were some of the most-talked-about stories on news/talk radio yesterday, according to ongoing research from TALKERS.